Esoko (www.esoko.com) a pioneering firm in the tech for agric space, has been adjudged winners of the maiden Mobex Innovation Africa (MIA) Award for Governance and Social Good, under the Agriculture category in Accra. The MIA Award, an initiative of the Ministry of Environment, Science, Technology and Innovation, is an industry centered initiative honoring excellence, innovation and creativity of organizations and individuals contributing to the transformation of lives and providing solutions to socioeconomic challenges through the deployment of ICT, skills and knowledge. Under the theme: RECOGNIZING EXCELLENCE IN TECH INNOVATION, the award recognizes Esoko’s continuous effort in digitizing agricultural value chains across Africa by providing innovative mobile & web tools that empower smallholder farmers and the businesses that serve them. 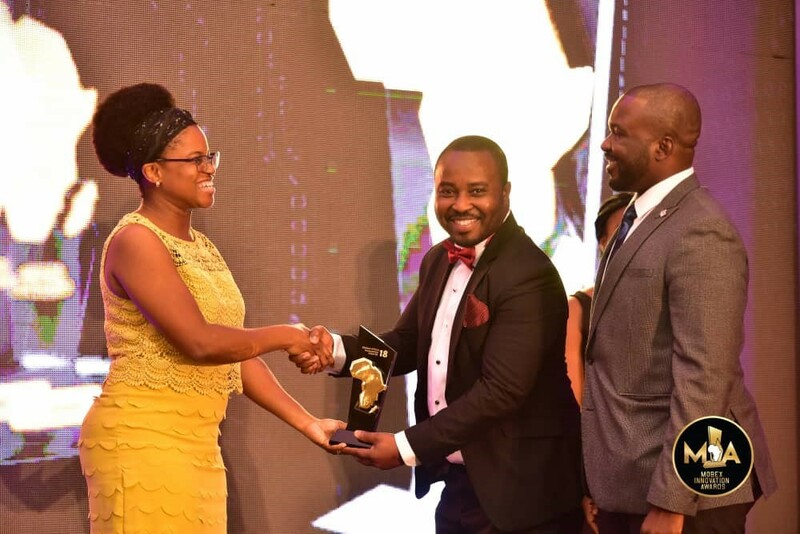 Reacting to the award, the Chief Executive Officer of Esoko, Dr. Daniel Asare-Kyei reiterated the company’s commitment to power Africa’s agricultural revolution. Dr. Asare-Kyei indicated that, “This award confirms our conviction about the potential of the agricultural industry as a major driver of poverty reduction. This award will spur us even further to continue to be at the forefront of developing cutting edge technologies for Africa’s agricultural revolution. Obviously, this has bolstered our industry leadership and we believe strongly that our mission to digitize agricultural value chains and support rural transactions will ultimately lead to massive digital and financial inclusion for our rural folks and help formalize Africa’s rural economies”. Esoko was among eighty (80) companies shortlisted by top-notch judges including Dorothy K. Gordon, Ghanaian technology activist, and development specialist; Dr. Ayorkor Korsah, Head of Computer Science Department; Prof. Nii Quaynor, scientist and engineer; and Estelle Akofio-Sowah, CSquared Ghana Country Manager and former Google Ghana Country manager. Over the last 12 years, Esoko has improved revenues for smallholder farmers by providing them with mobile based services including linkages to buyers and sellers of their produce, market prices, weather alerts, extension advice, and agronomic tips over SMS, voice-SMS and call centre. As part of the “Digital Farmer” project, Esoko is digitizing agricultural value chains to drive efficiency and transparency within the cycle of production and ultimately to improve access and incomes of smallholder farmers across the developing world. The project includes the profiling of farmers including their biodata, farm location and size, and mobile money/bank account details amongst others – to be implemented with Esoko’s Insyt data collection app. This data will be put on a “Farmer Card” with which farmers will be able to purchase services available on the Esoko marketplace such as information services, insurance, inputs, tractor services etc. All transactions will be recorded and digitised, helping the farmer build a history of transactions which can then be used by third parties such as financial institutions to access and provide credit/loans to these farmers. The system will also enable payments and biometric verification via POS for interventions such as subsidy programs within the industry. For more information on Esoko’s exciting work, visit www.esoko.com or email us at info@esoko.com.